In Nevada under the Net Metering Program, when solar panel owners produce more energy than they use, they get a credit on their utility bill for the power they supply to the grid. Solar Technology is a clean and renewable energy that has been implemented in Nevada becoming a total success, helping people to save money and helping the environment. Nevada has honored this statement and by marking those words Nevada has posted the fastest growth and the largest number of solar jobs per person in the nation last year, according to the Solar Foundation’s annual jobs census. An estimated $569 million also was invested in solar in 2014, a 427 percent jump from the previous year, the Solar Energy Industries Association found. For a state eager to diversify its economy, solar represents a success by all accounts. 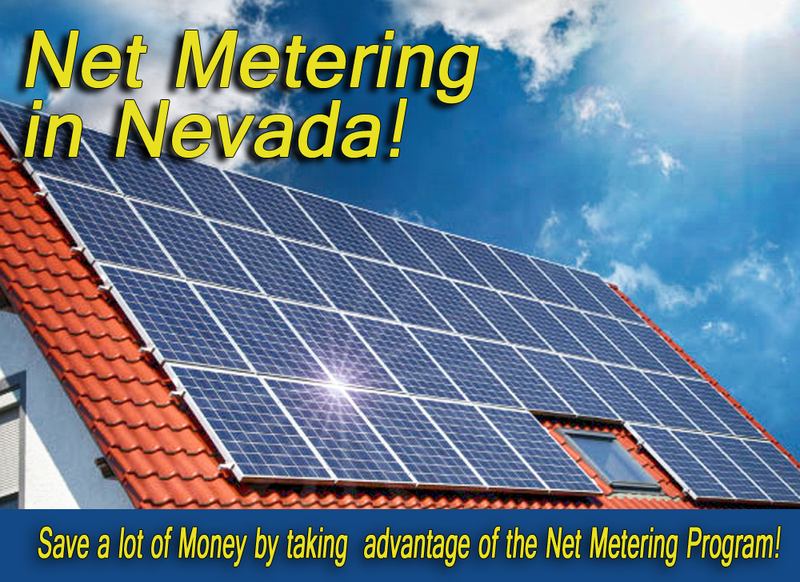 Remember, Free solar panels are available to you in las vegas, take advantage of the net metering program in Nevada. For all the homeowners that are taking action now by going solar, they are getting godfathered under their signed contracts, and they will enjoy the economic benefits for years to come. This entry was posted in Home Solar, Solar Power and tagged Net Metering.